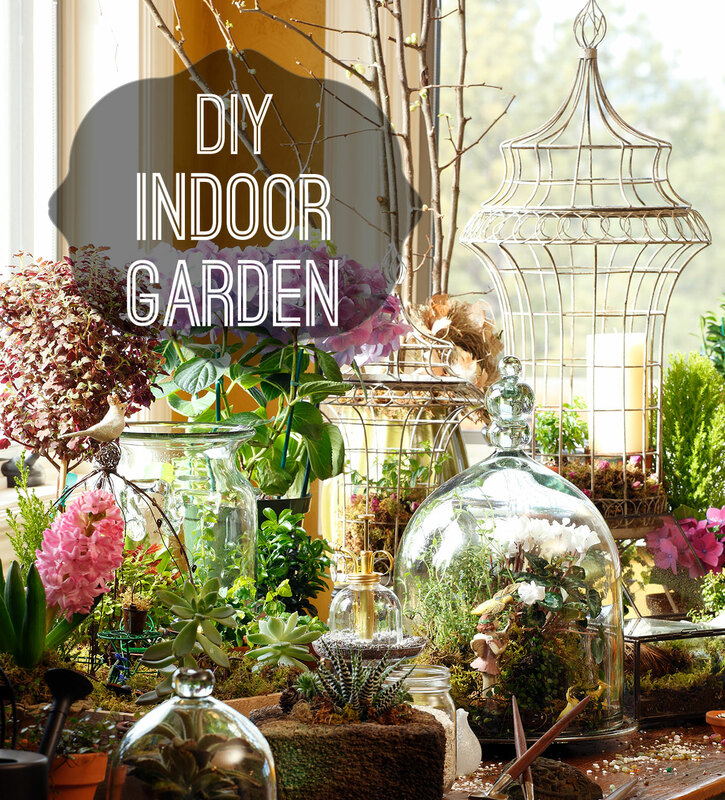 A great way to celebrate spring while bringing a little fun and relaxation into your home at the same time is through creating an indoor garden. 1. Begin by scouting out the best location in your home for an indoor garden. Southern-facing areas are ideal, but any area with good sunlight will work. 2. Purchase plants that grow well indoors. Most varieties of ivy and tropical plants are good choices. 3. Select several plants of various sizes, colors, forms and textures. A grouping typically includes an upright plant, a trailing plant and a colorful focal point. 4. Purchase fun garden accessories that add flair to your garden and coordinate with your existing home furnishings. 5. 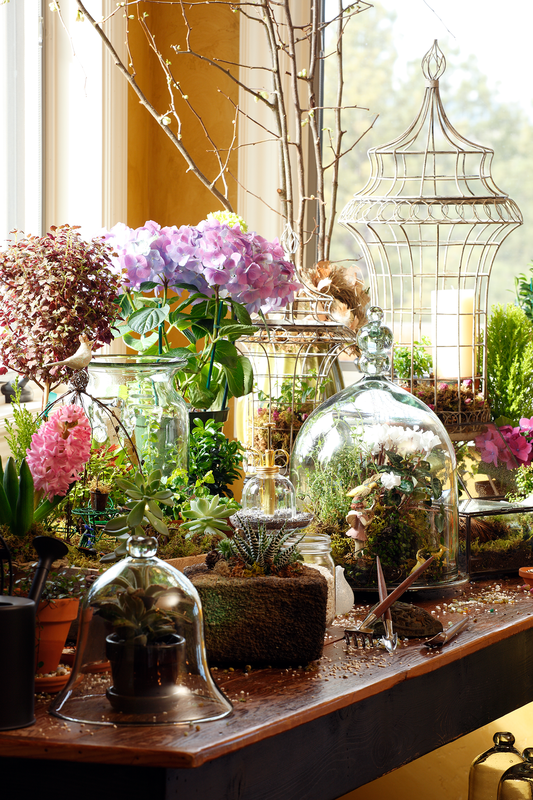 To add a creative twist to your garden, create a terrarium. Terrariums are miniature landscapes that include a collection of plants grown together in a clear container, such as an aquarium, cloche or jar. They are ideal for the busy gardener because they require little care — just watering every few weeks. 6. Use potting soil — not low-nutrient topsoil from your backyard — in your pots. For best results, mix about 4 parts potting soil to 1 part odorless compost or other organic fertilizer in each pot. 7. Fill each container with your soil mixture, and begin to experiment with various plant arrangements in each pot. If your garden will be viewed from all sides, place the tallest plants in the center of each container. you can easily view smaller ones. 9. Be sure to regularly water each of your plants and ensure they are exposed to appropriate levels of sunlight, temperature and humidity (using a spray bottle to mist your plants daily helps with the lack of humidity in most homes). 10. Make any final touches needed, take a step back and enjoy your new indoor garden. Share your indoor garden and unique terrarium with us on Facebook.